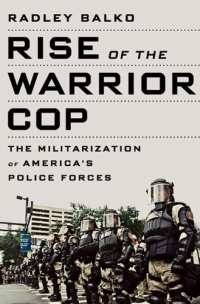 Radley Balko has been writing about the militarization of police for many years now. 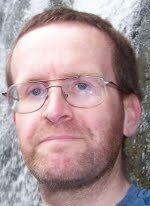 He has done extremely valuable work exposing the overuse and abuse of paramilitary SWAT teams, though he has often been the lone voice in the wilderness about this frightening assault on our civil liberties and abuse of government power. Balko has a book coming out this summer about the militarization of law enforcement, and if it is half as good as his editorials on this subject at Reason.com and HuffingtonPost.com it is a must read. Following is a list of links to Balko's "Raid Of The Day" series. James Hoskins went into a coma and had to have his leg amputated after a trigger-happy SWAT officer shot him. Rusty Windle was shot to death by SWAT officers after being set up by a known felon. Cheryl Ann Stillwell was killed in a drug raid over two OxyContin pills. "Operation Ready Rock" was a shock-and-awe SWAT raid on an entire neighborhood. An entire family was held at gunpoint for hours in a 1985 SWAT raid - the police had the wrong house. Jose Colon was a 19 year old with no criminal record who died after being shot in the head by police - who found 8 ounces of marijuana. A half dozen children were terrorized when SWAT raided the wrong house, pointed guns at them and killed the family dog. SWAT officer Tony Patterson was shot to death when a college student mistook overwhelming force for a home invasion. Leland Elder and his wife Mary Schultz were raided by 85 agents using military equipment when they mistook the florist's perfectly legal plants for a marijuana growing operation. Why not execute a simple search warrant? James Moulson and Phillip Anderson were killed during a raid of George Williams' home. Williams was also shot to death. The raid turned up four grams of marijuana. Robin Pratt was shot to death in front of her daughter during a "drug raid" that was ordered based on the fabrications of a known criminal. 80-year-old Isaac Singletary was shot to death when he tried to scare two men off his property because they were dealing drugs. The men were undercover police officers who shot and killed him. Anthony Diotaiuto was shot ten times and killed during a SWAT raid that featured a flash-bang grenade. Conducting a SWAT raid instead of serving a search warrant was necessary because it's obvious that only a hardened criminal would "undergo a criminal background check, allow himself to be fingerprinted, pay a fee, and enroll in a class on gun safety and firearms law" to get a concealed-carry permit. SWAT officers in Bel Aire, Kansas raided the home of four-term former mayor Harold Smith after mistaking sunflowers and other perfectly legal plants for marijuana. A SWAT team raided the home of 78-year-old Sandy Sanborn and his wife Grace, ransacked and tore the home apart looking for drugs. They had the wrong house. Cheryl Lynn Noel was shot to death in her own bedroom by SWAT officers. She was holding a gun to defend against what she thought was a home invasion. Again, a paramilitary SWAT raid was necessary instead of a simple search warrant because... why, exactly? The Los Angeles Police Department conducted an especially heavy-handed raid against an entire apartment complex in 1988. The raid included some vicious police brutality. Annie Rae Dixon was 84 years old and bedriddenwhen she was shot to death in a SWAT raid that found no drugs in her home. Again, a paramilitary raid was used instead of a simple search warrant. A 12-year-old girl suffered severe burns from a flash-bang grenade during an early-morning SWAT raid of the wrong house. John Hirko Jr. was shot to death and then burned beyond recognition in a fire started by a flash-bang grenade during a SWAT raid. Andrew Leonard had SWAT officers break down his door with a battering ram and hold him at gunpoint in a raid that targeted the wrong house. Lloyd Miner was clubbed with a flashlight by SWAT officers who also "smashed his toilet, turned over his furniture, pried the doors off of his cabinets, and destroyed some of his kitchen appliances" before taking him to jail. They had the wrong house. You might be noticing a pattern here. Xavier Bennett was eight years old when he was shot to death by a SWAT officer who fired blindly into a window covered by shades. Three weeks from now will be the twentieth anniversary of the massacre in Waco, Texas, when the federal government used military force - including tanks - against American citizens on American soil. But the problem of government using overwhelming military-style force against our own citizens goes far beyond the tragic events of April 19, 1993. We have been treating the War on Crime as a literal war for decades, and putting a soldier mentality into law enforcement has had frightening consequences. Reform and restraint are needed.